Ava DuVernay recently rolled her eyes for all of us who are tired of those with power complaining when an iota of their overwhelming privilege moves an inch toward parity. 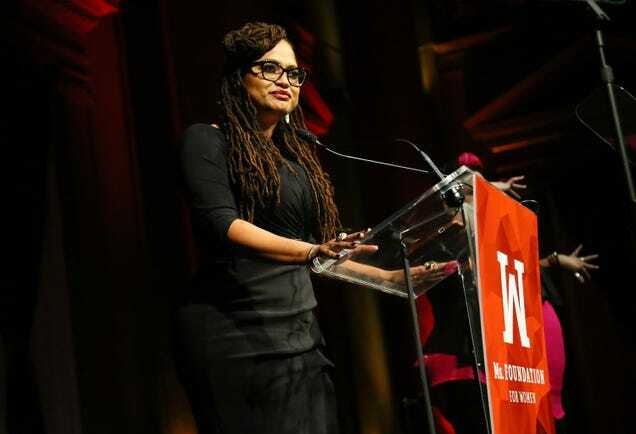 On Thursday, as she received the Woman of Vision Award at the 30th annual Ms. Foundation Gloria Awards, DuVernay recounted a story in which a fellow director called her to say that other directors were upset that she was only tapping women as directors for her show, Queen Sugar, on Oprah Winfrey’s network OWN. The Wrinkle in Time director also noted that she will continue to do things her way (that is, give women the opportunities they have been denied for so long as long as she calls the shots), despite the whiny men in Hollywood. So yeah. Right on, Ava.